About 3 years ago, this was a happier story. I had bought a dozen Bumgenius cloth diapers, which were all made in USA. I felt good about saving on waste, money on disposable diapers and buying American. With the planned switch to washable diapers for my younger daughter, I re-explored getting made in USA cloth diapers for her. To my chagrin, the market had changed substantially from 3 years ago. Let me start by saying that on my own I was only able to find Thirsties (Thirstiesbaby.com) that were made in USA. Please read on to see what else I learned. I started searching by using Google terms, such as “made in USA cloth diapers.” I found Bumkins, Bumgenius, Thirsties, Bummis, and others. Many of the companies were evasive or vague about their production, instead focusing on the product. Interestingly, Thirsties, which goes on and on about their domestic, sustainably produced diapers in Colorado, differed substantially in its description. They are made by stay at home moms in Colorado! I had to email Bumgenius to get them to clarify where they’re made. I couldn’t get anything more specific except that some of them are made in Egypt and some are made in the US. I tried out 3 pairs of Thirsties diapers on my 1 year old. I have to say, the Thirsties diapers rocked! Their construction is similar to but seems better than Bumgenius. 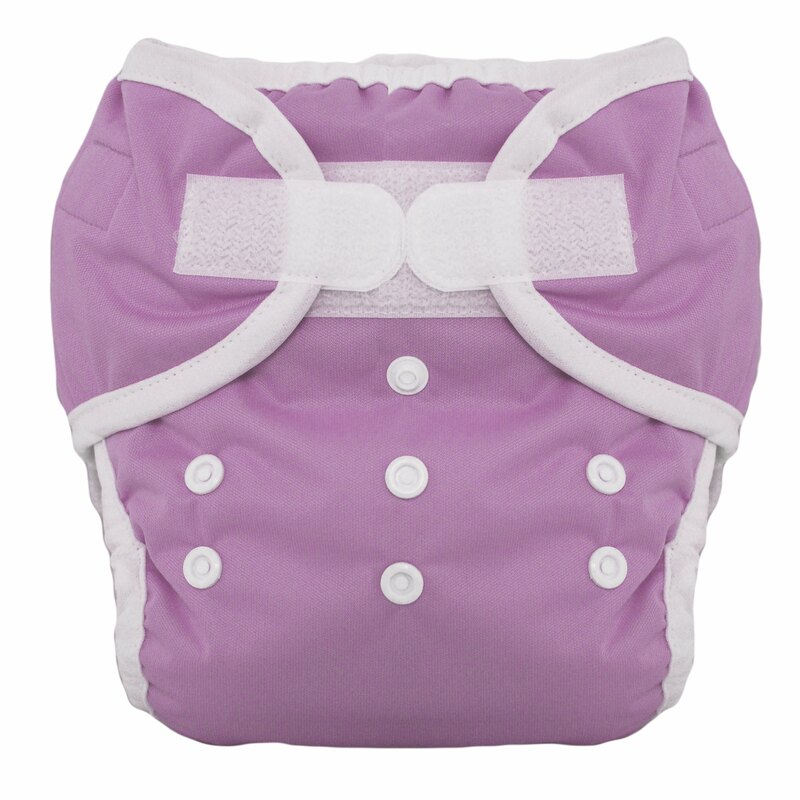 Their outer shell is made from a silky synthetic material and has gussets to prevent leaks and snaps to adjust sizes. The insert is made from microfibers and hemp! Very cool. When it’s time to change the diaper, my wife or I just remove the insert and wash both the shell and insert with the laundry. If there’s poo, then you have to dump that in the toilet first, but you have to do that anyway with disposable diapers too. I’m very happy with the design and choice of colors, and will definitely be ordering more. If you want to order some, go to Thirstiesbaby.com and find a local retailer near you (they believe in buying local). Although many companies, such as Bumgenius and Bumkins have offshored all or much of their production, I believe that their path is the past and not the future. Americans are not as indifferent as the offshoring cynics think, who think that where a product is made doesn’t matter to anyone. There are many patriotic and ethical Americans who believe in buying quality, sustainable, and affordable products from their neighbors and their ranks are growing. The likes of Bumkins will one day find that their customers are gone or that the Chinese don’t need their brand anymore. Why sell to American brand owners at wholesale when you can retail for yourself and keep all the profit? I ask all of you who read this post to pledge that you will do your best to buy locally and buy American. This shift in mass consciousness will not happen overnight, but it will happen – this I promise! I read a recent article in the LA Times that commented on the increased trade deficit. The trade deficit stands at $49 billion in July, the highest since October 2008. The article said that as our economy has worsened and people’s disposable income decreased, consumers have put off purchases of big items, such as houses and cars. However, Americans still feel a need to buy products that connote high class and luxury. So they may instead purchase smaller luxuries, such as ipods, fine imported liquor, or clothing. Or they may buy a lower-end model of a luxury line of goods that they can no longer afford, as with Mercedes or BMW. The problem with this tendency is that these kinds of products, unless one is careful, tend to be imports. Just walk down any shopping area in a Las Vegas casino – what do you see? Versacci, Gucci, Sharper Image, Apple, William-Sonoma: all that is sold is imports! I’m quite disgusted with Apple, personally. They used to make all their products in the US, but now everything they sell is made in China. A check to Apple is a check to Mr. Zha Bao and Mr. Fu Jin Tao. I do own an Iphone, since all the smart phones are imported anyway, but I certainly don’t want to buy another one if I don’t need one. I am not excited about giving Apple any more of my money! I would never buy an Apple product as a present either. So keep trying to buy American! See if you can incorporate some of these strategies in your shopping. Please comment with any suggestions you may have!